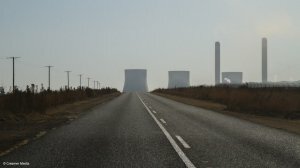 The Industry Task Team on Climate Change (ITTCC), which includes many of South Africa’s largest mining and industrial companies, says the proposed carbon tax will have no material impact on reducing carbon emissions from the electricity sector, which is responsible for around half of the country’s yearly greenhouse gas (GHG) emissions. Given the structure of South Africa’s electricity sector, ITTCC believes that the Integrated Resource Plan (IRP) for electricity, together with mandatory carbon budgets, would be more potent in facilitating structural change in the economy’s largest emitting sector. ITTCC members included South32, Gold Fields, Kumba, Sasol, AECI, Consol, Air Liquide, Exxaro, Anglo American, Mondi, Tongaat Hulett, AngloGold Ashanti, ArcelorMittal South Africa (AMSA), Columbus, Glencore, PPC, Sibanye-Stillwater, Afrox, Harmony, Anglo American Platinum, Samancor, Sappi, Manganese Metal, Lonmin, Rand Water, Assore, Richards Bay Minerals, Mondi, Hulamin, Scaw, Implats and Transnet. The submission was made as lawmakers consider the Carbon Tax Bill, which was adopted by Cabinet in August 2017 and which is likely to be enacted into law before year-end. In February, former Finance Minister Malusi Gigaba said the tax would be implemented from January 1, 2019. Government remains convinced that the tax will enable the country to meet its nationally determined contributions under the 2015 Paris Agreement of the United Nations Framework Convention on Climate Change. However, organised business, though Business Unity South Africa, has consistently raised reservations, warning that the tax will have negative consequences for economic growth and employment. In its formal submission on the Carbon Tax Bill, the ITTCC argued that a price signal (in this case R120/t of carbon dioxide-equivalent emission) would not influence electricity related emission reductions, as the Department of Energy’s IRP determined the trajectory of the country’s generation mix. Representative Jarredine Morris added that a carbon tax was neither necessary nor suitable under South Africa’s current electricity industry structure and that a low-carbon, resource-efficient economy could be achieved, instead, through other instruments. She listed these as being the IRP, the Department of Environmental Affairs’ carbon budget and the Industrial Policy Action Plan. ITTCC members were supportive of South Africa’s climate change commitments and acknowledged the merits of a carbon price in the longer term. However, as currently envisaged, the tax could be damaging the to South African economy, Morris argued. Reuters reports that, gold and platinum miner Sibanye-Stillwater was even more strident in its criticism, telling lawmakers that it totally rejected a carbon tax in “any shape, form or quantum”. Meanwhile, steel producer AMSA warned that the tax would hurt its competitiveness at a time when it was struggling with cheaper imports and weak demand. AMSA said an analysis of its 2016 and 2017 financials indicated that the tax payable would have affected its operating earnings by between 57% and 100%, Reuters reported. In its electricity-focused submission, the ITTCC noted that South Africa had already made progress in lowering GHG emissions, but at a cost to the economy and employment. Morris added that direct interventions to increase low-carbon electricity supply would further the decarbonisation of the electricity supply industry in South Africa. However, government’s most recent attempt to increase the number of renewable-energy generators stumbled again this week, after the National Union of Metalworkers of South Africa and Transform RSA moved to prevent Eskom from signing power purchase agreements for 27 additional projects. The matter will be heard on March 27 and Energy Minister Jeff Radebe indicated that he intended announcing a new signing date “immediately” after the case was heard. Subsequently, the National Union of Mineworkers also raised its objection to the introduction of more independent power producers, which it described as a “backdoor privatisation of Eskom”.